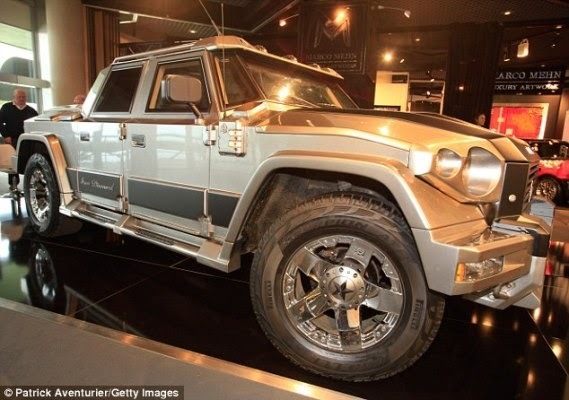 The super-SUV is even built to withstand attacks from landmines and rocket-propelled grenades. 'Kanye is fully aware that his new family is so high-profile they attract the attention of weirdos and psychopaths. He aims to leave nothing to chance...His priority is to get delivery of the vehicles, especially Kim's, before he begins his US tour in October,' a source told the Daily Star.